Apples, oranges, and the only thing that matters. Family.GradSchool.Passions.College.Dreams.Children. Happiness.Careers.Fitness.Friends.Rejections. Commitment. Finances. Responsibilities.Acceptances. Love.Hopes.Fears.Mortgages.Loans.Salaries..and much, much more. We all have some, if not all of the following as a part of our lives. But there’s something missing. Something that helps us with all of the above. Rest In Peace Steve Jobs. What a brilliant man who, despite his health condition, left remarkable footprints and changed the way the world works. Today’s post is brought to you by Amanda Abella, who I met last week through Brazen Careerist’s Network Roulette. 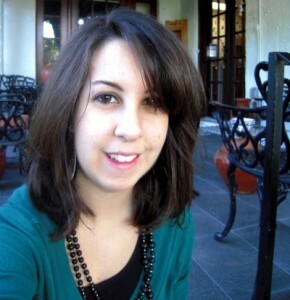 Amanda Abella is a freelance writer, language instructor, and Gen Y blogger based out of Miami, FL. She has written for several websites including Yahoo News, Thrive in Life, and Environmental Graffiti. Her blog, Grad Meets World focuses on Gen Y issues pertaining to career, health, entrepreneurship, productivity, finances, and more. You can also follow Amanda on Twitter @amandaabella. The word itself makes personal aspirations seem like an overwhelming fantasy with no tangible deadline. As soon as you ask someone how they plan to achieve their dreams they look at you with a quizzical face, completely stumped. The fact of that matter is that no one knows how to make a fantasy come true. Goals are real. They are tangible. They can be measured by accomplishments and time. And best of all, the can be broken up into smaller steps so that you can reach your ultimate goals in life. 1. Figure out your values. What makes you tick? What are the most important aspects of your life? Family, Love, Happiness? Everyone is different, but once you figure out your top values you can then create some goals to match them. Start with 10 and then maybe narrow it down to 5 or even 3. Jenny Blake’s Life After College: The Complete Guide to Getting What You Want has some great exercises to help you do this. 2. Write out one-sentence goals. Goals should be straight and to the point. There’s no need to explain them to anyone, especially not to yourself. Once you have your values figured out, create some one sentence goals that are in line with them. You can use this template I made to help you figure this part out. 3. Break your goals into smaller steps. 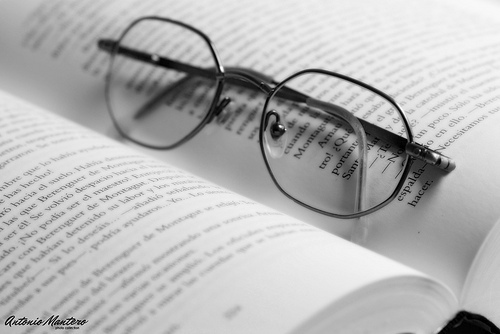 If you want to write a book, break down x number of pages per month. If you want to go to grad school, pick a date to take the GRE. Whatever your goals, they can be broken down into smaller steps which will make them seem much less overwhelming. Pick a deadline for your one-sentence goals and then do the same with your steps. This not only keeps you accountable, it also helps you take your goals more seriously. For instance, I want to take the Florida Teacher Certification Exam in August. Instead of cramming for the exam, I have committed to going through one section of the prep book each weekend in my free time. 5. Start working toward one of your goals this week. Goals only seem overwhelming or distant until you actually start working them. So what are you waiting for? You aren’t going to be young forever! This post is not some huge relationship rant. Nope, that’s not what this post is about. It is about commitment. To yourself. To your goals. To the parts of your life that matter to you. How many of the things you said you would do this year, the habits you said you would form, and the goals you said you would work on, have you actually started on? Okay, so you’ve started on them, but have you been consistent? Have you really committed to them? Here are a few ways to be committed to those interests. Plan it out. Heard of that saying “fail to plan, plan to fail”? I’m a big fan of setting small realistic goals (so I know they are achievable) that lead up to the big picture. Have your goals in mind and then follow through and execute the steps you want to take towards reaching your goal. Are you running in a race? Set aside time each day to work on this goal. Eat well. Decide on the distances you want to run each day. Visualize it. Giving up a certain vice (mine is chocolate) for a while? Write it down. Put it on a calendar or in a place where you remind yourself of the goal each day and you can see how far you’ve come along. Maybe you’ll accomplish your goal time and have the energy to push it even further. Use positive affirmation. Let yourself know that you will accomplish your goal no matter how long it takes or how difficult it will be. Allow yourself to stay in the present. Don’t worry about how you did yesterday or what will happen tomorrow. Just look at how you’re doing right now. Surround yourself with positivity and it will help you stay motivated. Join a team/find a support group. This will make it easier and even more enjoyable to do what you want. Don’t be afraid to ask for help here. Maybe you’re After all you’re in a place where you share a common goal. You can encourage each other, find out what works for each individual and maybe incorporate those actions to get what you want. Be persistent. I know. We live in a world that goes so fast that when we want something, it means we want it quick. Sometimes the results won’t come as fast as we’d like. But no worries, keep at it and the results will show through, even if at a slow pace. Instead of being disappointed that you’re not at your final result, take notice of the small changes that are getting you there. Be patient and enjoy the ride. Isn’t that what they always say–it isn’t about the final destination, but rather about the journey taken to get there. 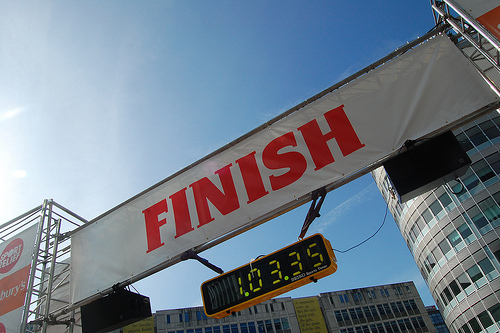 Don’t beat yourself up over not accomplishing the goal as fast as you thought you might. Take some time off. You’ve been working so hard at your goals– which is great! But don’t hesitate to give yourself some down time to rest and regenerate your energy. Read pieces of encouragement. Whether it’s with books or quotes or anything else, this will help you stay in a positive frame of mind and will help you work to your goal. Not to mention it will add a smile to your face. Keep learning. What are some mistakes you’ve made on this journey? What are ways to improve your process? Challenge yourself to think about this as you work.